We’d love your help. Let us know what’s wrong with this preview of Warrior Patient Heartbeats by Temple Emmet Williams. Live to laugh and laugh to live. Live to love and love to live. Sink into the quicksand of modern medicine and survive with laughter, love, good doctors, and guts. This 2018 update has an extra chapter and is 50 book pages longer than the original best seller. The author writes with humor and the quick, sharp punch of journalistic truth. He is a Marine, an ex-NYC cop, and a Live to laugh and laugh to live. Live to love and love to live. Sink into the quicksand of modern medicine and survive with laughter, love, good doctors, and guts. This 2018 update has an extra chapter and is 50 book pages longer than the original best seller. “Humor is the best doctor you will ever know. ” Williams ... follows his own advice. – KirkusReviews. “A great ‘how-to’ in overcoming diseases with laughter, good doctors, love, and guts.” – Dennis Waller. 100,000 patients die, and nine million suffer injury every year. If medical mistakes were a disease, it would be the sixth leading cause of deaths in America. 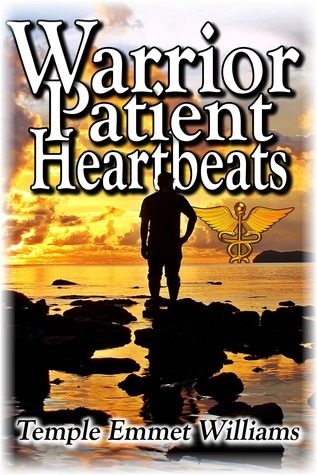 As you read Warrior Patient Heartbeats, you become one of the nine million who suffers injury every year. You take an extraordinary, often amusing journey into the quicksand of modern medicine. In the midst of a long list of life-threatening illnesses, you learn to laugh as you survive. To ask other readers questions about Warrior Patient Heartbeats, please sign up.